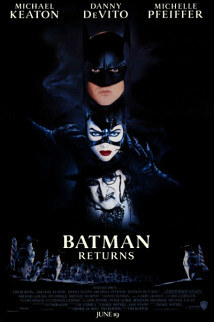 Join me as I join the Doctor and Lynch for a second go at the first of Christopher Nolan’s Batmen. We compare the film to the comic books, other Nolan Batmen, Burton/Schumaker Batmen, and The Shadow. We examine the logic of the villains’ plans and Batman’s response. And we recast Morgan Freeman as a bad guy. I’m watching the Blu-ray. Start the film right after the Warner Brothers logo has stopped turning, on the countdown. 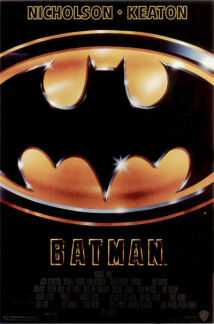 Join John Pavlich of Sofa Dogs and me for the third of Christopher Nolan’s Batmen! We discuss Nolan’s shift in approach, the uneven writing, and why we both respond very favorably to the film anyway. We discuss the Batvoice and whether or not the Batcowl squooshes his face and makes him talk that way. We debate Bane’s nature (weightlifting painkiller addict?) and why we don’t see his face since we saw Dent’s charred face. I contend that substantial parts of the story are unnecessary and that it doubles back on itself. John defends it. We compare it to the previous films, James Bond, Catwoman, and strong female characters. We discuss the wonky timeline, my preferred ending, and how great Joseph Gordon-Levitt is no matter what he is or isn’t given to do. FILE UPLOAD ISSUE RESOLVED. I’m having a lot of trouble lately with GoDaddy FTP. I’m watching the Blu-ray. Start the film right after the Warner Brothers logo has faded, on the countdown. Batman is back! Keaton starts his role as Batman against the greatest villain he has ever known: Alexander Knox! I join Soulless Minions, Commentary Track Stars, and Geek Fights for a free-for-all. 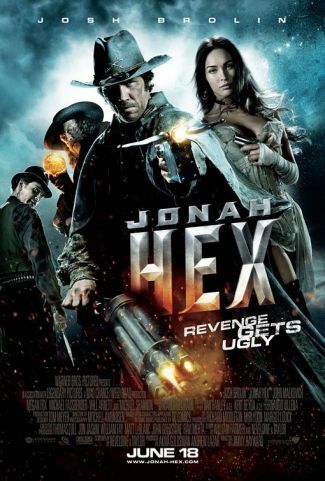 We mostly like the film but have a lot of fun with its ridiculousness. We’re watching various NTSC versions. Start the movie after the Warner Brothers logo, on the countdown. Batman is back! This time, Josh of Soulless Minions of Orthodoxy and Mike and Max of Commentary Track Stars take us on a dark and twisted fairy tale to Tim Burton’s Gotham City, where penguins inhabit sewers and mystical cats roam alleyways freely. We like the film better than the Schumacher films, but no one likes it as much as I do. It’s my favorite of the four. Why are we doing them in reverse order? Because WE’RE CRAZY. Not crazy enough to run around in leather and vinyl, fighting crime, but pretty crazy. We’re watching the Blu-ray and R1 NTSC versions. Start the movie after the Warner Brothers logo, just as the house is fading up, on the countdown. But Ryan Slightly-Grizzled Reynolds powers thru the pain. The fish guy from Hellboy, a racial stereotype, and an incredibly rude Jedi master are the worst instructors in the galaxy, so he lays down his gun and badge and quits the galactic police force! HA! No, seriously, he totally keeps the gun and badge…. And then—stuff!—and some chit chat, etc. 5-6-7-8-aaaaaand I’m spent. Start the commentary after the Warner Brothers logo and just before the DC Comics logo, on the countdown. 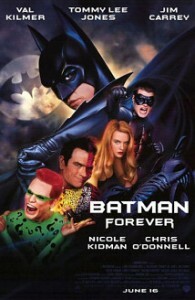 Join me as I again join Josh from Soulless Minions of Orthodoxy and Mike from Commentary Tracks Stars as we lament the awfulness of Joel Schumacher’s Batman Forever. 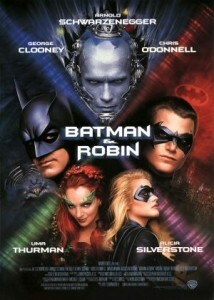 We don’t have quite the fun we had with Batman & Robin, but there’s plenty to discuss. We note most of the costume changes (and reel changes), compare the film to others in the Batman collection, and speculate on what might have been and what might be in the store for Batman in the future. Start the film right after the Warner Brothers logo has morphed into a bat and the Warner Brothers title card has faded, on the countdown. Join John Pavlich of Sofa Dogs and me for the second of Christopher Nolan’s Batmen! 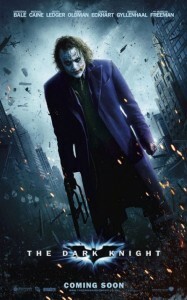 We judge it to be the best of breed, with a tour de force performance from Heath Ledger. We discuss plot depth and stuff, like how much of a racist I am (apparently a lot). We debate whether it is a mushy in the middle and which Robertses and Gyllenhaals we can do without. 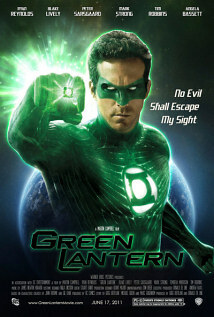 And we agree that this movie would be great with or without a dude dressed as a bat. Also, we consider Milla Jovovich as Catwoman and Bruce Willis as the Penguin or somebody to try to reunite them with Gary Oldman and Tiny Lister from The 5th Element. Here’s some more: Ian Holm as Mr. Freeze and Chris Tucker as that dude Liberace played in the old TV show! Join me as I join Josh from Soulless Minions of Orthodoxy, Mike and Damon from Geek Fights, and (about 90 minutes in) Mike from Commentary Tracks Stars as we celebrate the awfulness of Joel Schumacher’s Batman & Robin. Josh is ambivalent (in that he can barely stand it). I praise the set design and remain staunchly in denial of any gay subtext. 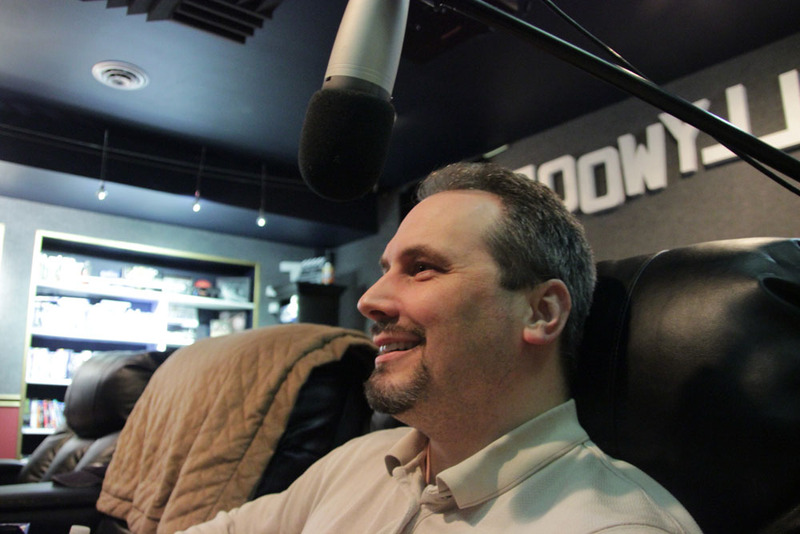 Mike and Damon profess love that sours over the course of film. And CTS Mike just despises it. Over all, we have a great deal of fun with it. I quote my 8-year-old nephew a few times. We speculate on superhero Donald Trump and Richard Branson. We try to figure out how a 21-year-old Barbara has a mother who was young in the 1940s. We wonder why Bane is even in this movie. And we marvel that Mr. Freeze’s suit is powered by puns. 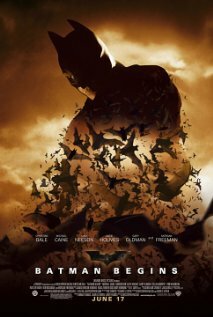 Join John Pavlich and me for the first of Christopher Nolan’s Batmen and thrill to the excitement of flashbacks(!) and training sequences(!) and more (but not a lot more). 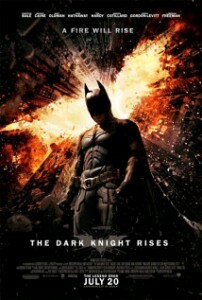 We both like the film, but maybe not as much as we did when before seeing The Dark Knight. We talk Batman comic books, other Nolan movies, Joker vs Scarecrow, Scarecrow vs Falcone, Britons vs Americans, and Holmes vs Gyllenhaal.